Located in the heart of northern Laos, equidistant between China and Vietnam, the Muang La Resort is situated on the edge of a small traditional village with around 100 inhabitants. 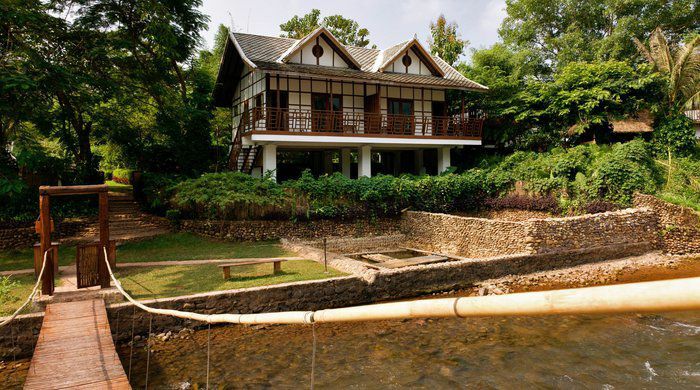 Surrounded by rainforest, on the banks of the river and isolated from mass tourism, the Muang la Resort is the ideal base from which to explore the many treasures of the region, including the rich diversity of ethnic groups living between the rice fields and the mountains. 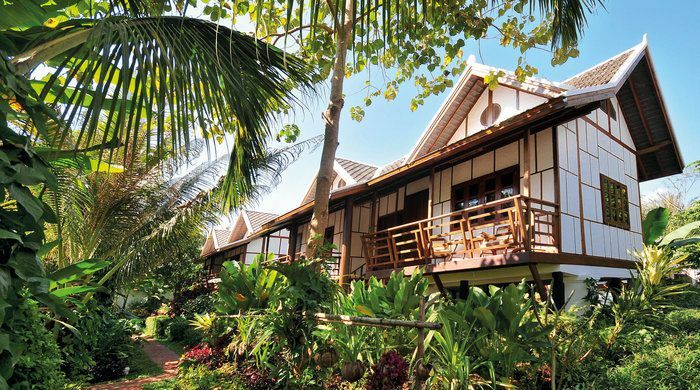 In the hotel's tropical gardens, there are four wooden villas that house the hotel's ten rooms. All have en-suite bathrooms and small private terraces that overlook the countryside, gardens or river. 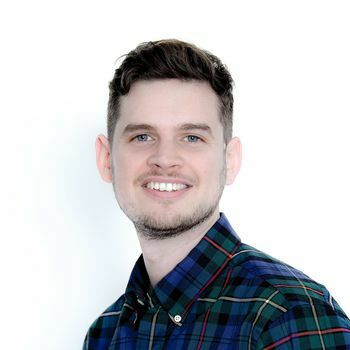 Their design is inspired by local architecture, making use of local wood with white-washed walls, polished wooden floors and designer furniture. 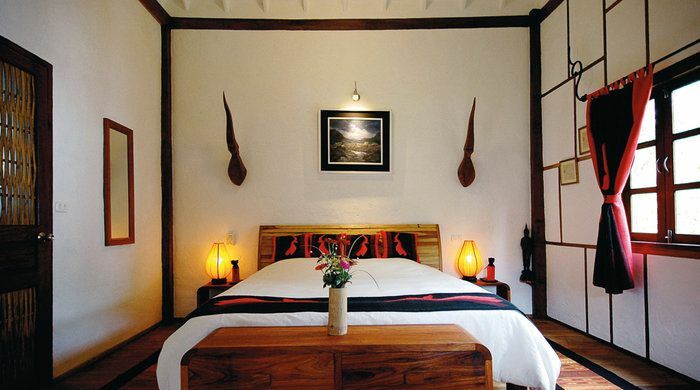 All bedrooms also overlook either the steaming hot springs below, the river or the garden, which teams with butterflies. The main restaurant at the hotel is called La Sala, and it's scenically located on a little island that faces the resort. It is situated within an attractive wooden building, with fantastic views across the river and countryside. The menu is eclectic: choose foie gras on toast, sushimi or mini-skewers washed down with the finest champagne. Alternatively, select the bespoke menu of Laotian, Asian and European flavours. You also have the option of dining wherever you please on the resort's grounds, from your private balcony to a secluded corner in the gardens. Any trip to the Muang La Resort will leave you feeling revitalised and refreshed. The spa is just a short walk through the hotel's lush tropical gardens. Treatments on offer include traditional Laotian massages, aromatherapy massages, hot spring baths and aromatic saunas. You can also learn about spices, aromatic herbs and locally grown vegetables on a cookery course. 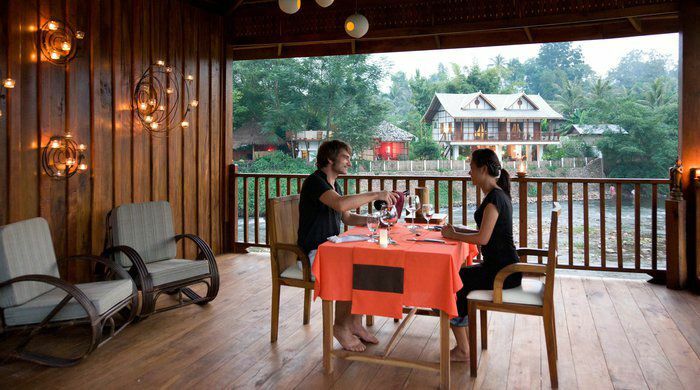 Located on the banks of the Mekong River, the Luang Say Lodge is backed by jungle-clad mountains, and consists of 20 wooden bungalows that overlook the mighty river. It is available to stay at as part of a Luang Say cruise package from either Huay Xai to Packbeng or Packbeng to Luang Prabang.